Time, place and space This refers to the absolute or relative position of people, objects or ideas. It focuses on how we construct and use our understanding of location in time, place and space. Conflict can occur at a range of scales and for a multitude of reasons, both individual and societal. The human experience is littered with the consequences of these conflicts. What were the causes of WW1? Working in small groups, you are to create a presentation, and prepare to argue your point in a class discussion, that justifies your involvement in World War One. When war was declared by the main belligerents over the week of July 28th to August 4th, 1914, there was no absolute reason or necessity for this course of action. Indeed, on July 28th, the day Austria-Hungary declared war on Serbia, a German general wrote: "unfortunately ... peaceful news. The Kaiser wants peace", after Kaiser Wilhelm of Germany had a change of heart. The great historian AJP Taylor stated of the build up to WW1, "Nothing is inevitable until it happens". However, the choices were for war. You must explain and convince others as to why your country declared war. The presentation should contain maps, data, quotes from leaders and politicians, public opinion and images. You should use political, economic and social and cultural reasons to justify your countries actions. For the discussion, you must answer to both your enemies and the International Criminal Court of Human Rights for war crimes against the millions who died and suffered. Good luck with that! What was the soldier's experience at the front? The war started with vast movements of troops through Belgium and northern France. However, after the German advance was stopped outside of Paris, a very different type of war in the west set in. 1. 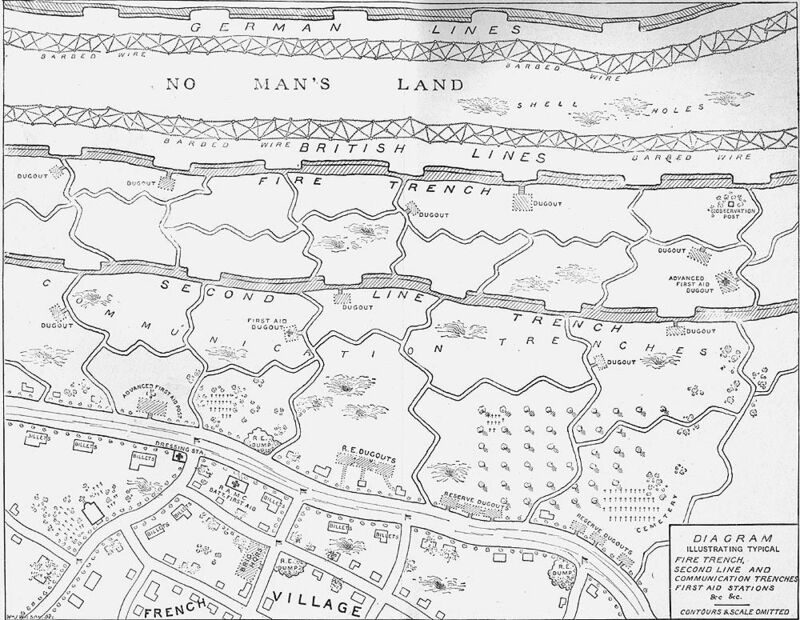 What advantage did the Germans have on the ridge above the River Aisne? 2. 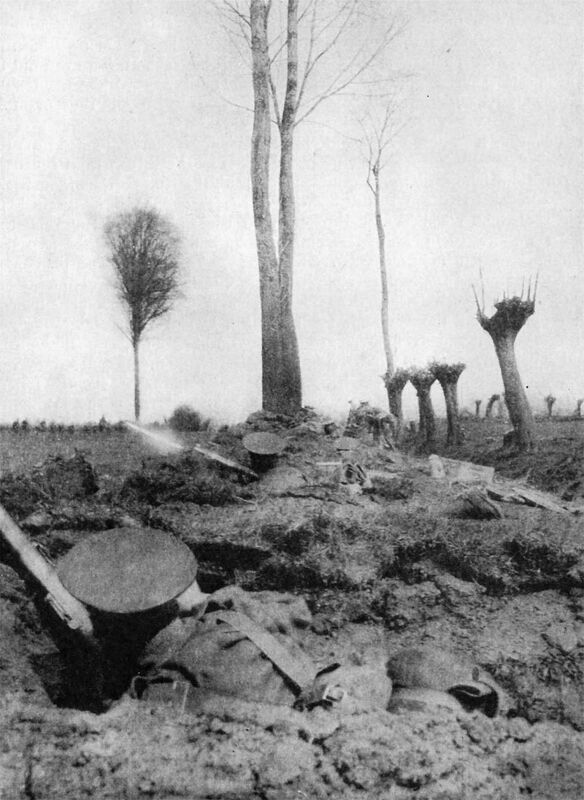 Why did both sides start to "en-trench" after the Battle of the Aisne? 3. Describe how the battles had changed from earlier battles such as Mons. 5. In what way was war in the east, between Austria and Russia, different? Working in peer support groups of 2 or 3, design a trench system that includes a range of needs and characteristics as listed below. Use the images and links below as a guide for the design and features to include. Use blank A3 paper that will then be pasted into your book. Annotation and explanation is vital. Headings, sub-headings, colour, a key and layout are also of importance. Daily life was monotonous and often very dull. 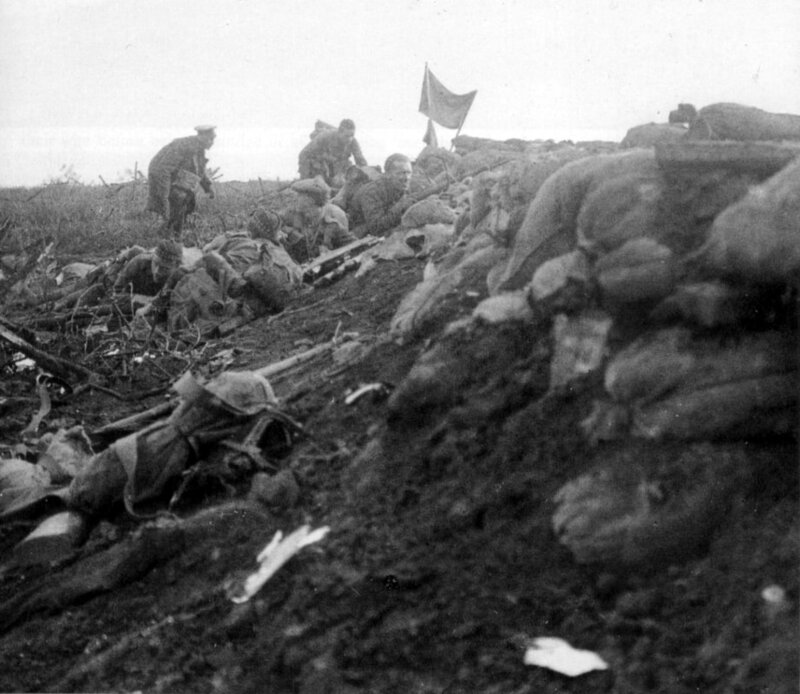 It involved the cleaning and inspection of weapons; the construction and repair of trench defences; the removal of dead and wounded from trenches and no man's land; the transfer of supplies, food rations and new equipment; observing enemy activity and movement; repairing barbed wire defences; delousing of uniforms. Conditions in the trenches were shocking. Soldiers had to live there in all weathers. In winter, trenches flooded, and sometimes froze. As a result of wet conditions and poor hygiene, some soldiers suffered from "trench foot". Front line soldiers could be expected to advance across no man's land towards the enemy frontline trenches, in the face of shelling, machine gun fire and barbed wire defences. Thousands of casualties could be expected in such a "push" or attack. Soldiers had to live with the constant danger of enemy shelling and snipers; the sound of artillery bombardments which sometimes resulted in soldiers suffering from a breakdown known as "shell shock"; the death or injury of close friends; the dangers of poison gas attacks; rats and lice; the boring diet of tea, biscuits and tinned beef. Soldiers suffered enormous casualties due to the deadly effects of modern artillery, grenades, mines and machine guns. Attempts that were made to end the deadlock of trench warfare included the introduction of poison gas attacks and the tank. 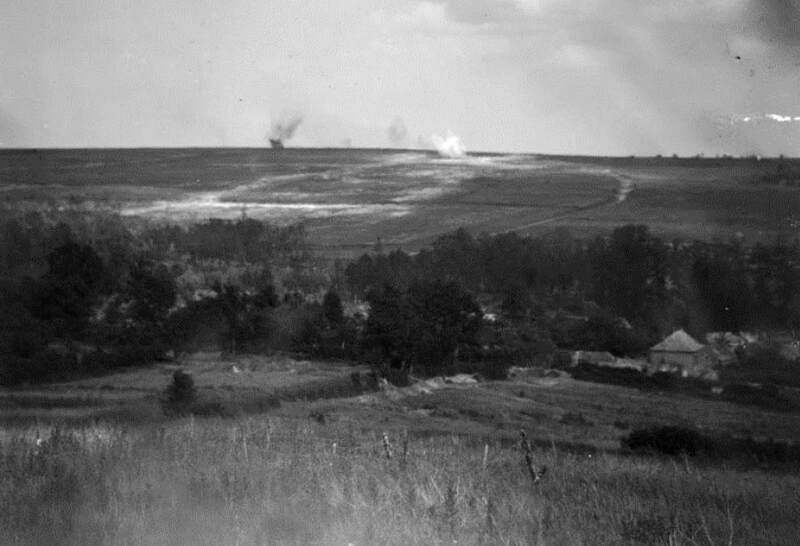 The gas could be effective if the wind blew in the right direction, and the enemy was taken by surprise. The British were the first to introduce the tank which could be effective if the ground was firm enough, and there were sufficient troops to hold on to enemy territory captured by using tanks to lead the troops across no man's land. ​Later in the war, changing battlefield tactics, and the use and integration of new and improving technologies, eventually helped break the "stalemate" of the trenches and, in part, led to the eventual Allied victory on the Western Front. 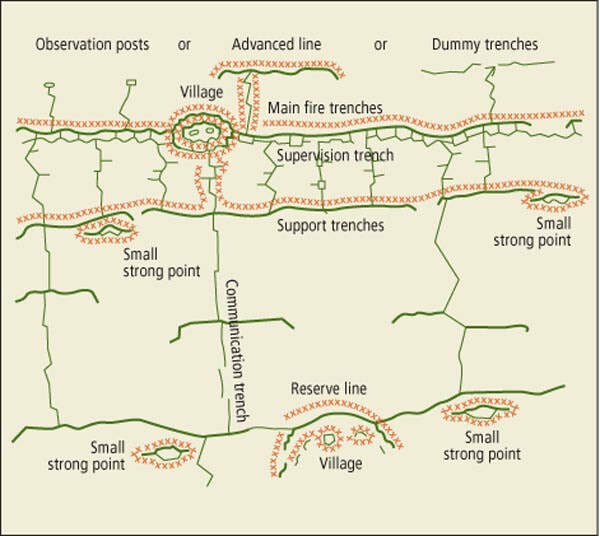 Using up-to-date and fully technologically advanced battlefield strategies and techniques, you are to create a battle-plan for the successful storming of the formidable Hindenburg Line around the area of Arras. This was what we would now think of as late in the war, but the soldiers and armies fighting at the time could not know this and the casualties sustained were as high as at any point in the war thus far. Troops working in smaller, more mobile units with a range of equipment and roles rather than massed infantry seen previously. These units would include machine gunners (including more mobile light machine guns), bombers using grenades, and artillery spotters who could accurately call in artillery support. The coordination of infantry, artillery, tanks and planes during attacks meant that defenders were given little rest or time and space to bring up reserves or to respond to gains of the attackers. ​Infantry and artillery would be informed by pilots and spotters, who would also bomb and strafe reserve units and enemy artillery. Tanks would move up in support of infantry to give cover and greater firepower. Artillery would shell specific locations as and when needed, rather than general shelling of wide areas. Before the British heavy guns could neutralise the defending German artillery, the gunners had to know where the German artillery was. With the introduction of the Tucker microphone, the British could determine the German gun’s characteristics, including the calibre, muzzle velocity, direction of fire, and approximate range. This stunning development gave the British the decided advantage of being able to locate and bring fire onto the German guns before the German guns could locate the British artillery because the Germans were using crude stethoscopes to locate the British guns. The inability of the Germans to develop technology equal to the Tucker microphone, limited their ability to knock out the British guns before being destroyed or forced to withdraw from the British artillery fire. Other advantages such as wireless radio, different types of shell (high-explosive, gas, smoke for cover), a wide range of aeroplane design and uses, motorised vehicles of many types, larger artillery guns with greater firepower and range, mortars for short range bombing, aerial photography showing enemy trench systems, strong-points and troop and equipment movements. ​To the left is a barrage map for an attack on Vimy Ridge. A creeping barrage would lift every few minutes on set timings, with shells landing just in front of the advancing infantry. This was only achieved through detailed planning and co-ordination. In small groups, you must create a detailed battlefield plan of attack to take the enemy position shown below. Place these on a map of the area to be attacked (using PowerPoint, Sway, Prezi or similar) for evaluation by the Generals at HQ. The plan with the greatest likelihood of success will be used for the attack. Resources are not endless and you must select what you will use and in what numbers from the list below, deploying them in the best way you see fit for victory and success in the coming offensive. ​Within reason, you can use units of bombers (grenades), light machine guns, communications units, sapper (building and construction) units as and were you see fit. You also have 50 light artillery pieces. iv. 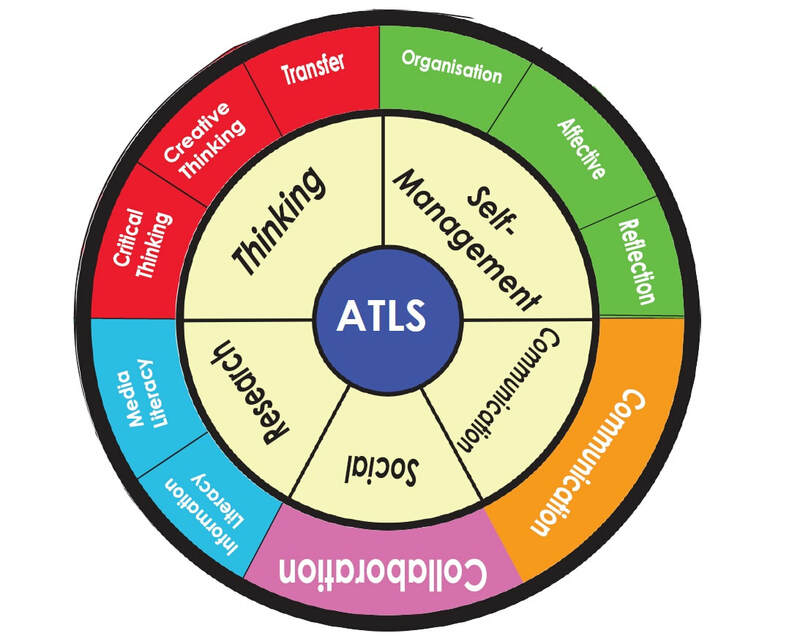 recognise different perspectives and explain their implications. iv. recognises different perspectives and suggests some of their implications. iv. clearly recognises different perspectives and describes most of their implications. iv. clearly recognises different perspectives and consistently explains their implications.